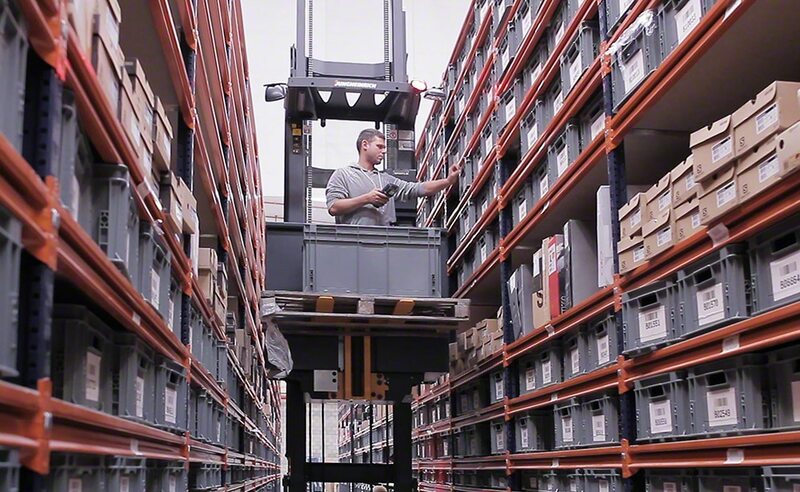 The e-commerce business Tradeinn has expanded its warehouse in Celrà (Girona) by installing more pallet racks and Longspan shelving for picking. Mecalux has stood by Tradeinn all through its growth as a business, not only providing racks but also implementing the Easy WMS, until it has established itself as one of the largest sports equipment e-tailers internationally. The warehouse expansion means the company stores 378 more pallets, achieving a total capacity for 1,458 pallets. Moreover, it has enabled 17 Longspan shelving modules for pick tasks that fill a 33 m long space. Easy WMS, developed by Mecalux Software Solutions, lets Tradeinn manage stock and control all in-warehouse processes, from receptions up to dispatch to the end customer. Founded in 2008, Tradeinn runs 14 online shops which are translated into eighteen different languages and from which it sells its products to 193 countries throughout the world with specialised equipment for scuba diving, trekking and mountain sports, cycling, tennis and padel. The Group closed out 2017 with a 120-million-euro sales turnover and an average of 7,000 daily orders. Then, add the more than 2.5 million customers and how many SKUs it has for sale, which exceeds a million items. Recently, the company was awarded the title of the best digital enterprise in Spain by the Ecommerce Awards.